× eight = 24 Required Please enter the correct value. Gold was up on news reports that Turkish jets shot down a Russian military aircraft. In early morning trading, Comex gold climbed $10.70 to $1,077.40 an ounce. Short covering and bargain hunting also helped push gold futures higher Tuesday after the gold price hit a five-and-a-half-year low last week. Gold futures have fallen some 9.89% in 2015. 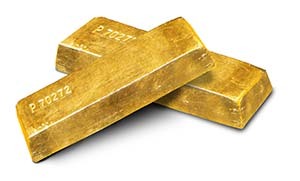 Last week marked the fifth consecutive week that the gold price declined. That was the longest losing streak since July 24. Bearish positions in gold futures and options (short positions) totaled 8,989 contacts in the week ended Nov. 17, according to data from the U.S. Commodity Futures Trading Commission. Just one week earlier, the net-long (bullish) position total of gold future contacts was 21,530. Precious metal investors have slashed their present long positions to 92,318 contracts. That is the smallest tally since December 2008. Gold, long deemed a safe-haven investment, was unsuccessful in holding on to even the tepid gains logged last week. Gold futures caught a modest bid following the Nov. 13 terrorist attacks in Paris that killed 130 people. The most actively traded gold futures contract, for December delivery, gained $2.70 to $1,083.60 a troy ounce on Nov. 16. That was the first day precious metal traders could react to the horrific events in France. The front-month gold futures contract did touch a one-week intraday high in overnight trading, but the gold price quickly retreated. Gold's respected role as a store of value during heightened global uncertainty has diminished this year. Investors' attention in 2015 has been on the timing of the first U.S. interest rate hike in nearly a decade and little else. The U.S. Federal Reserve is widely expected to implement its first interest rate hike since June 2006 at the conclusion of its Dec. 15-16 meeting.